Gain 1 magicka this turn. Completed Contract is a common Agility action card. 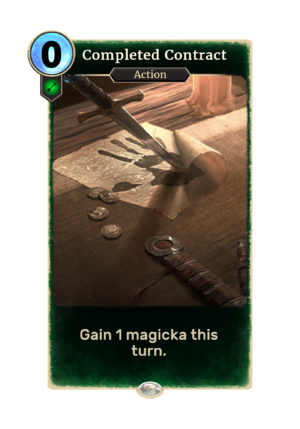 The card's art depicts a sheet of paper bearing the symbol of the Dark Brotherhood. This page was last modified on 7 October 2018, at 20:00.